There’s two awesome things Miami can count on when it comes to Christmas — no snow and the Holiday Gift Guide written by Miami Herald columnist, Dave Barry. In honor of Dave Barry’s 2015 gift guide coming this weekend, we took a look through his past gift guides, picked out the past car-related items and did an Internet search to see if these great gifts are still available to purchase. Oh, goody! To accompany 2003’s unusual events, Barry’s 2003 gift guide included two excellent gift ideas for those who love to drive. While one gift, Doggles, was designed with the safety of dog passengers; the second gift, the Executive Laptop Steering Wheel Mount, was designed with little-to-no expectation of safety. who stick their head out the window or have optical problems, was a product that would stick around. 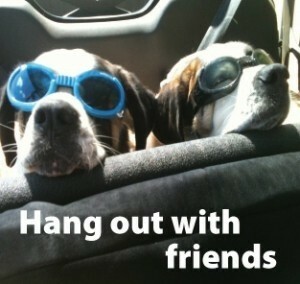 You can visit doggles.com to purchase this gift or a doggy eye-mask to ensure sunlight doesn’t wake your sle epy canine. Unlike Doggles’ success, it seems that Akron’s Executive Laptop Steering Wheel Mount, an accessory that attaches to the steering wheel and allows a busy executive to work on the computer and drive at the same time, wasn’t as popular. This item is still available on a few sites like Ebay and Amazon and the price has declined from $50 to about $13-$20. The following year, Barry introduced Miami’s mainstream society to one of the finest inventions ever to come out of Bradenton, Florida — the Travel Hot-Dog Cooker. Requiring just a cigarette lighter, the Travel Hot-Dog Cooker was made for anyone who likes a toasty dog while in traffic or waiting to pick up your kids from school or soccer practice. Though we couldn’t find this product for sale, might we suggest the portable popcorn maker. Just plug it into a car lighter, add in your own fresh kernels and you’ve got good ole “car-made” popcorn virtually anywhere — being stuck in rush hour traffic will never be the same again. 2005 was the year of the perfect gift for all of those who owned a four-wheel drive vehicle and didn’t get the full use out of it — Spray-on Mud. Forget the notion of paying to wash a car, 2005 was the year to pay for a bottle of fake mud to give the illusion that Jeep, Range Rover or Mercedes Benz G Class owners have been getting down and dirty. 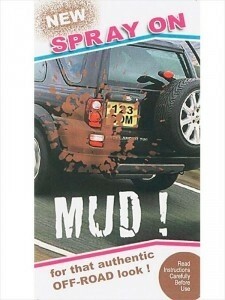 However useful this product must have been we couldn’t find Spray-on Mud sold anywhere. If anyone knows where Spray-On Mud is available, please let us know. 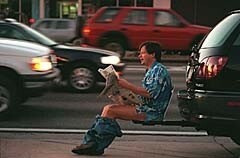 y car-related items until 2009, when it included one of this list’s best items — the Bumper Dumper. The best explanation of this product comes from the manufacturer, “Just plug the Bumper Dumper into your hitch receiver and the comfort of home is there when nature calls. Take it hunting, fishing, camping, boating, vacation, on the job, in the field, anywhere you may need to go.” Not only is this a great gift to give the “adventuresome-type” but it is also helpful in work situations too — maybe it could be a work-related tax deduction. Fortunately, this product is still available and can be purchased at bumperdumper.com for $80. And finally, Barry’s last car-related gift suggestion comes from 2012. This gift was intended for anyone who drives a truck and has a passion for dancing…exterior car speakers? No … a trailer-hitch mounted pole! Though it was a puzzling gift at first, Barry’s explanation summed it up: “The big problem with conventional poles is that they are attached to clubs, which are large heavy buildings and therefore difficult to transport. This severely limits a dancer’s ability to relocate his or her pole quickly in the event of an emergency, or to make a house call.” If you didn’t get this unique and useful truck accessory then, you’re still in luck. You can purchase the specialized pole at platinumstages.com for only $550. If you’re in need of a car and not one of these great accessories, you’re in the right place. Driver’s Auto Mart has an excellent selection of used cars, check them out. We’re located in between Ft. Lauderdale and Miami.